Over the past year and a half, Toyota AI Ventures has invested in early-stage startups targeting autonomous mobility on the roads and in the air. With 90 percent of the world’s global cargo transported by ship, why stop there? Today, we’re announcing our investment in Sea Machines Robotics, and we are so excited to be in the same boat with them. The company, headquartered in Boston, provides industrial-grade systems for environment perception, remote control, and autonomous operations. 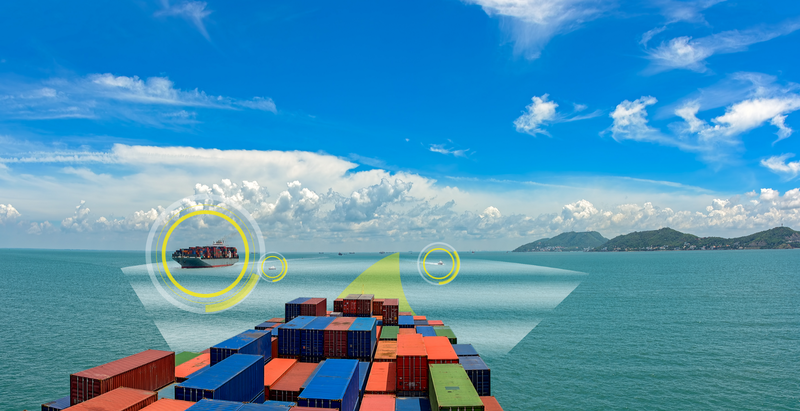 Autonomy can help reduce maritime collisions, increase fuel efficiency, operate long hours without distraction, and execute difficult and dangerous missions. For example, ocean surveying missions are tough to operate at night, and Sea Machines’ autonomy supports around-the-clock ocean surveying. Also, with fuel being the largest expense for most large vessels, autonomy enables data-driven closed-loop course corrections based on real-time ocean currents and weather data, which can save in fuel costs across long ocean voyages. The company’s products work with vessels of all sizes including workboats, merchant container ships, and even cruise ships. What’s more, they support both existing and new marine vessels. The lifespan of marine vessels can be 25 years or more. By retrofitting older vessels, customers of Sea Machines can see return on their investment within a year in most cases. To wit, the company is getting some early traction with one of the world’s largest shipping companies, A.P. Moller-Maersk, aboard one of their ice-class container ships. Sea Machines’ CEO Michael Johnson was previously vice president at TITAN Salvage and Crowley Maritime, and has worked in oceans from the Arctic to the tropics. We like the cut of his jib. He leads a crew of engineers, scientists, and mariners with expertise in autonomous water vehicles and robotics. Sea Machines’ $10 million Series A was led by Accomplice VC and includes Brunswick (through investment partner TechNexus Venture Collaborative), Eniac Ventures, NextGen, and Geekdom, among others. Autonomy is taking to the high seas. Check out Sea Machines’ job board if you want to jump on this next wave!